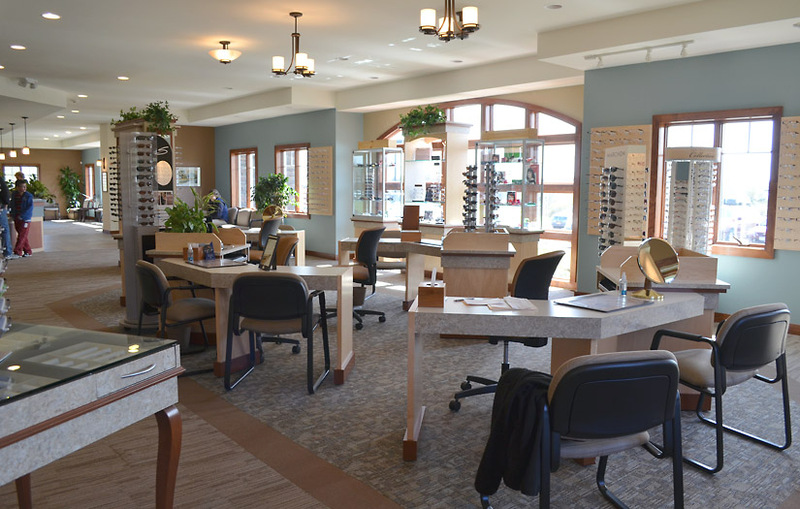 Meet the experienced and friendly doctors and staff who make Aurora Optometric Group a proud provider of vision care products and services in East Aurora and Elma. Keith Del Prince, O.D. Dr. Del Prince is a graduate of the Indiana University School of Optometry. He completed his undergraduate studies at Canisius College of Buffalo. Dr. Del Prince is past president of the Western New York Optometric Society and is a twenty-four year member of the American Optometric Association. Dr. Del Prince resides in Elma with his wife Mary. He enjoys playing golf, ice hockey and guitar and spending time with his three children, Katie, Nicholas and Alexandra. Shawn Clancy, O.D. Dr. Shawn Clancy is a graduate of the State University of New York College of Optometry. He completed his undergraduate studies at Geneseo State College. His areas of specialty include the diagnosis and management of glaucoma, treating ocular disease, and fitting contact lenses of all types. He is a 10 year member of the American Optometric Association and a board trustee of the WNY Optometric Society. Outside of the office he enjoys playing soccer and golf, attending live sporting events, and any activities which involve spending time with his 3 children. Amy Suda, O.D. Dr. Amy Suda graduated from the local Orchard Park high school. She attended college at SUNY Geneseo and from there graduated from the Pennsylvania College of Optometry. Dr. Suda enjoys caring for patients of all ages – from 6 months of age as part of the Infantsee program to adult eye exams. She fits contact lenses ranging from initial youth fits to multifocal contact lenses for adults. She works with patients to manage various eye diseases and conditions, such as glaucoma, dry eye, diabetes, cataracts, and macular degeneration. She also participates in comanaging LASIK and cataract surgeries. Dr. Suda enjoys spending time with her husband Jason, sons Jonas and Myles, and their golden retriever. She is an avid sports fan who enjoys playing soccer, lacrosse, and skiing. Dr. Suda loves attending Sabres games and local concerts. Patricia Miller, O.D. Dr. Miller received her primary education in East Aurora and graduated from Nardin Academy in Buffalo. After earning a bachelor of science degree in biology from LeMoyne college in Syracuse, she earned her doctor of optometry degree from the New England College of Optometry in Boston, MA. Dr. Miller practices primary care optometry with a preference for soft contact lenses, treatment and management of ocular disease and laser refractive surgery co-management. She is a member of the American Optometric Association, Western New York State Optometric Association and Lions Club of East Aurora. She enjoys traveling and spending time with her husband Bill and their four children Will, Lilly, Ryan & Ava. Katie Del Prince, O.D. Dr. Del Prince graduated from SUNY Geneseo, where she was a member of Sigma Delta Tau sorority. She subsequently attended and graduated from the State University of New York College of Optometry in Manhattan. An Elma, NY native, Katie is the daughter of Dr. Keith Del Prince and is excited to join her father in practice and to return to Western New York. Dr. Del Prince practices primary care optometry and enjoys working with patients of all ages. She manages and treats an array of ocular disease, including glaucoma, macular degeneration, dry eye syndrome, and diabetic retinopathy. She fits soft and rigid contact lenses for children and adults, and also provides pre-and post-operative care for refractive surgery and cataract surgery. She is a Buffalo Bills fan, a marathon runner, and enjoys live music and traveling. She lives in West Seneca with her husband, Jack Graham, a history teacher and a fellow Iroquois High School graduate. They have a black lab, Mackie, and two cats, Catsby and Tippy.